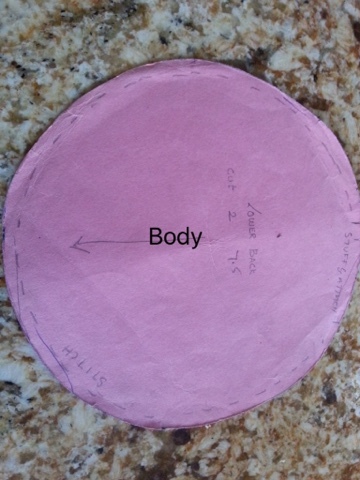 So coming to procedure it's very simple. 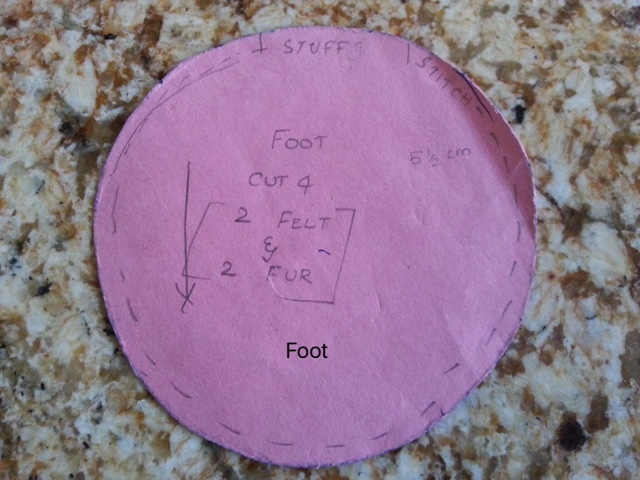 1) Cut 2 circles each 7 1/2 cm for body,2 circles 7 cm for head, 2 circles in fur and 2 circles in felt each 5 1/2 cm for foot. 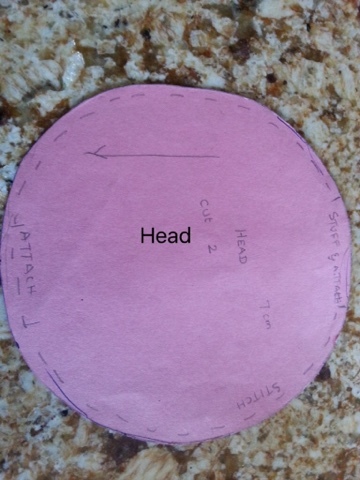 2) Cut 2 pieces 14 cm by 4 cm for leg.And one piece 2cm by 4 1/2 cm for neck. 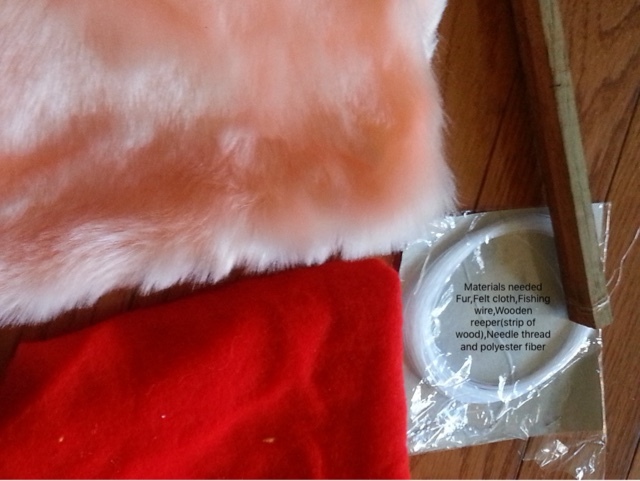 3) Stitch the body piece with wrong sides together using buttonhole stitch and leave small gap for stuffing with fiber and turn it inside out( right side of fur) and stuff with fiber and Close using button hole stitch. 4) Do similarly the head and foot pieces too. 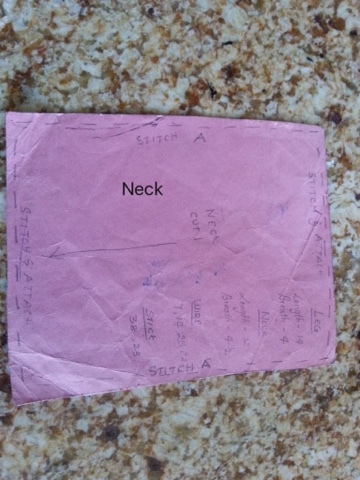 5)For the neck turn to wrong side and stitch side 'A' using button hole. 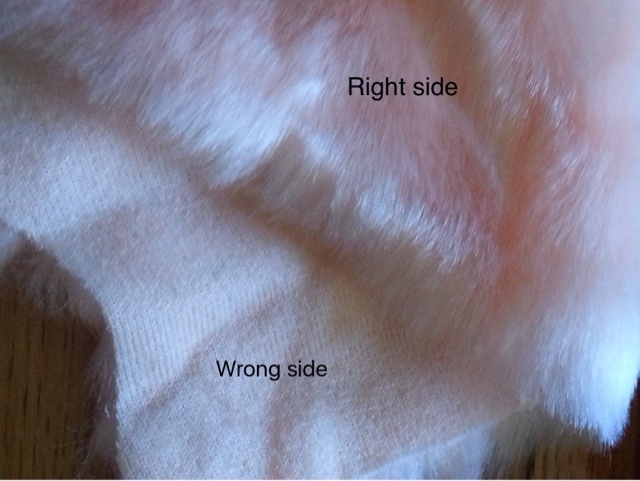 Turn it inside out to right side of fur and stitch other 2 sides.similarly the stitch the legs. 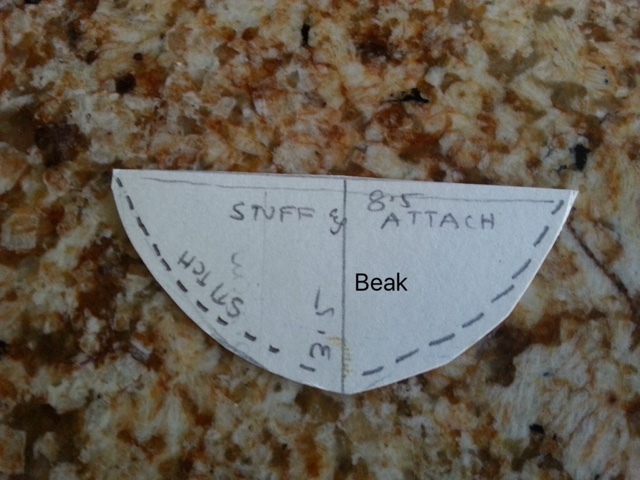 6)Now stitch the beak part same way turning to wrong side .Stitch curved sides leaving the other side to turn to right side and stuff.stuff it with fiber and stitch. 7) Now it's just assembling all the parts. Stitch the beak to face and face to body and legs to body. 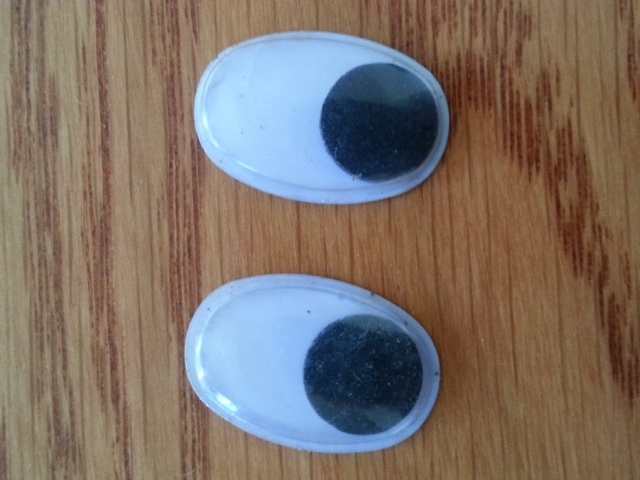 8)Stick the eyes to head. 9) Now connecting it to the wooden stick is something that needs bit of carpenters skill.Oh no no don't worry nothing much(you can get carpenters help if he is available).Take 2 woods and attach it like cross and nail it.Take a thick nail and make a hole it the end of each sides of the wood so that you can tie the wire. 10)last thing to do is attaching the wire to legs using stitching needle and tie it to the wood. Now that our OSTRITCH is done.. All we have to is just twist the wood to sides to make the OSTRITCH walk and Have fun with kids . All Pictures, videos and content copyright creative crafts © 2008-2010.You are welcome to use the content for personal use .No reproduction of the content allowed without permission from author.